The accident is your fault and results in bodily injury or property damage to someone else? Medical attention is needed for injuries suffered by you or your passengers? A lawsuit against your personal finances results if you are deemed at fault? These are just a few of the questions you should consider when securing car insurance coverage. Although it’s always great to find a bargain, it’s crucial to ensure that the New Hampshire auto insurance policy you secure will actually do its job of protecting you on the road. At Eaton & Berube, we are independent agents, which means that we represent many different insurance companies, who we work with to find the best coverage at the most affordable rate for each of our clients. In addition to Nashua where our office is located, we are pleased to provide affordable auto insurance in Hudson, Hollis, Brookline, Litchfield, Amherst, Merrimack, Milford, Bedford, Manchester, Concord, Goffstown, Derry, Salem, Londonderry, Windham, Wilton, Mont Vernon, and all of New Hampshire. Ready for Your Free New Hampshire Auto Insurance Quote? 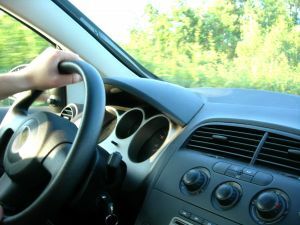 For dependable but affordable New Hampshire auto insurance, rely on our experienced team of personal insurance agents. To get a free New Hampshire auto insurance quote, please call us today at 800-660-5362 or submit our online quote request form and we will get back to you as soon as possible. To get instant, comparative auto insurance quotes from the different companies we represent, please click here.